304. 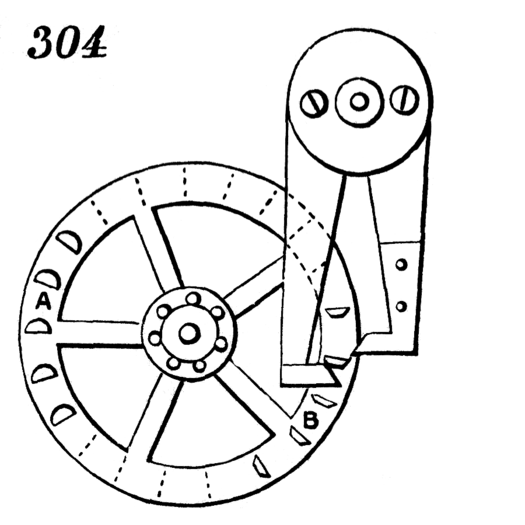 Pin-wheel escapement, somewhat resembling the stud escapement shown by 292. The pins, A, B, of the escape-wheel are of two different forms, but the form of those on the right side is the best. One advantage of this kind of escapement is that if one of the pins is damaged it can easily be replaced, whereas if a tooth is damaged the whole wheel is ruined.